UNLIKE most of Ireland I have no connection to Boston. I never had a plumber uncle in Dorchester, cousins in the Boston Police Department or an older brother working as a barman and sometime GAA player. I didn’t spend summers moving furniture and dossing with a dozen others in a sublet in Quincy, painting mansions on the North Shore or drinking in Southie’s Irish bars. Growing up if you’d asked me about the place I might have mentioned a tea party, or how I never really watched Cheers, or why I really wanted to visit New York and how far was it to Massachusetts? 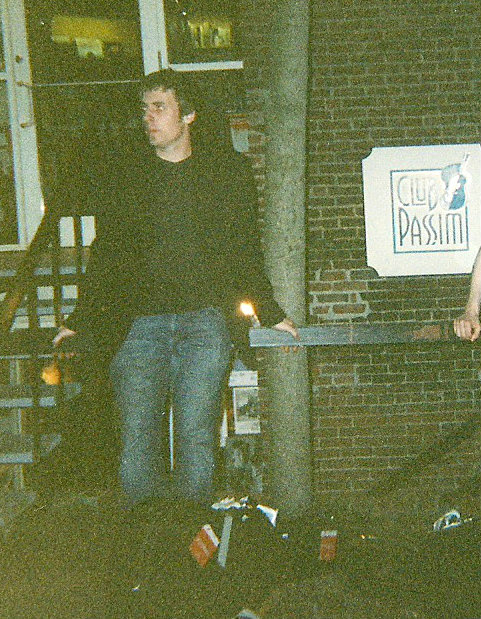 At Club Passim, October 2003. That was until Boston – or rather Cambridge – gave me one of the best nights of my life. It occurred in the salad days of my time as a (very) occasional singer and guitar player. I pursued this vice sporadically and anonymously for a period in my 20s, playing in a garage band with friends in Dublin and in open mics wherever. All of which brought me, one Autumn evening in October 2003, to Boston. I could have come to the area for the history, the seafood, the city. But instead my buddy S and I hauled ourselves and our guitar cases out of the Back Bay and to a small basement club, on a tiled alley called Palmer Street, close to Harvard Square in Cambridge. This was (and is) the site of Club Passim, formerly Club 47, the hub of all things folk in the area since the 1960s. A local student called Joan Baez got her start there, singing about silver daggers and homicide. A tyro Bob Dylan played for free just to get onto the stage. Bruce Springsteen didn’t even make it that far – his plea for a spot was turned down. It was that kind of place and just about everyone who was in anyone in my record collection had stepped up for a set there. At first glance I wasn’t going to get within 900 Miles of the stage. But once a month, in the finest folk tradition, the club ran an open mic, showcasing original songwriting. A couple of dollars membership, patience and luck might get you a five minute slot. 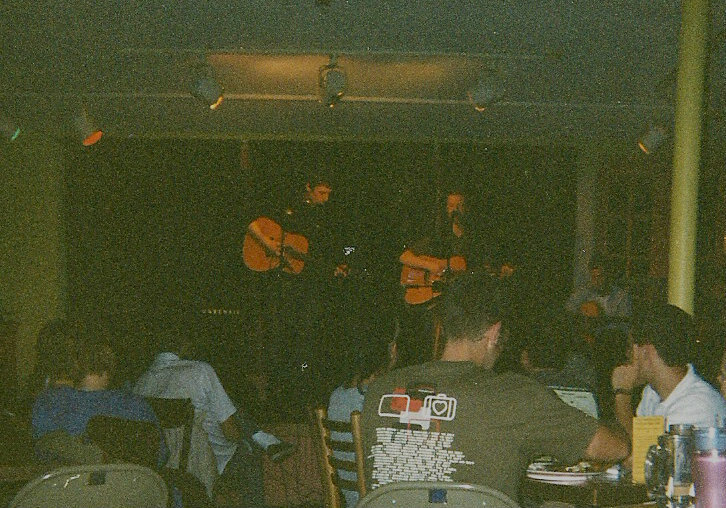 On stage at Club Passim, Cambridge, October 2003. We paid up and took our places that night amidst the coffee-sipping, hummus-nibbling regulars. Local after local got up and did their stuff. I was sure neither S nor myself, blowin’ in on spec, would get a look in. But then one after another, and just before they shut down, we got the call. We took the stage together, with a plan to accompany one another on each other’s song (in the end I think we just played solo). I could try to explain the head-shattering combo of joy, terror and release that I felt facing the room. Alas I was focusing so hard all I can truly recall is the spotlight and the microphone. And the round of applause the good folkies of Boston gave me. It’s ringing in my ears to this day. I’ve never been back to Club Passim. It’s still on Palmer Street and it’s flying the flag this week for music, free expression and all that true stuff. It’s small story, but I’m grateful for what Cambridge laid on for us that night – a welcome, a leap of faith and a brief moment in the folk spotlight. THE first rule of journalism? Find the gravedigger. Put all that talk about holding the powerful to account, the virtues of the Fourth Estate and Woodward and Bernstein to one side. And find the gravedigger. I’ll explain below. I work as a journalist for a daily paper and website in Dublin, Ireland. I edit a lot and write a little. Like Mencken I’ve had more fun doing it than any other enterprise. I started my career 18 years ago, not by chasing gravediggers, but in a somewhat-related field: as an obituary writer. I had joined my local weekly paper from school and must have showed a raw talent for lachrymosity – or an ability to spell a list of names correctly. Because I found myself, every Wednesday and Thursday, scouring the death columns for the names of the locally recently departed. But, almost without fail, people recounted anecdotes about their loved ones and produced the necessary Sunday best picture. These were the lives of ordinary people in a small Irish Midlands town at the latter end of a busy century. There were farmers who had rarely stepped away from their few acres, nurses who worked for 50 years before becoming old spinsters, barmen and brickies born in Athlone who’d lived and died in Brooklyn and Birmingham. Occasionally you’d get a local worthy, a politician or priest, but most of my hours were spent distilling the lives of very ordinary people. Each article was a life lived, some better or worse than others. And most had at least one nugget, a well-worn story or family legend that made the piece worth writing and, I hoped, reading. Later I went to college where, for years, I was taught to ignore the gravedigger and focus on the Bigger Issues. But Gods make their own importance. 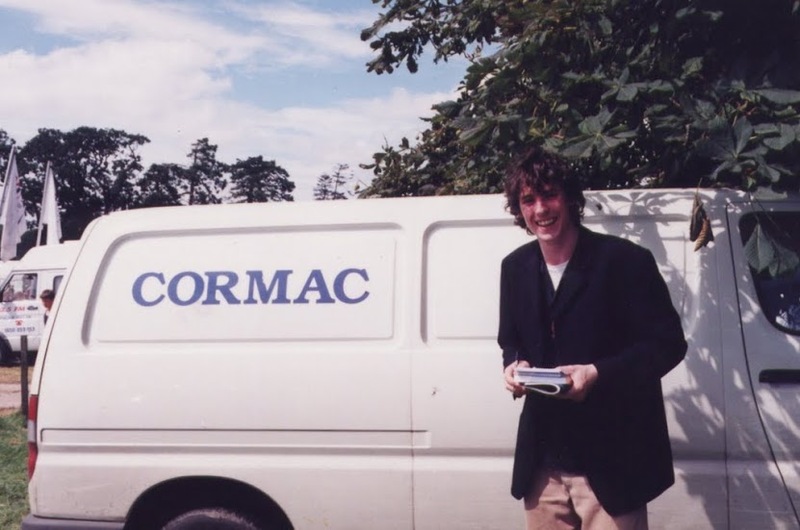 I doubt many of the articles I wrote in subsequent years – acres of crime writing, accounts from All-Ireland winning dressing rooms, op-eds on Miss World – were read as closely as those obituaries. How does this relate to the gravedigger then? The link comes by way of a legendary 1963 article written by the New York Daily News journalist Jimmy Breslin. It’s an account of JFK’s funeral. Avoiding the usual roll-call of names and solemn prose it’s instead a story told from the point of view of the “$3.01 an hour” cemetery worker who prepares JFK‘s grave. 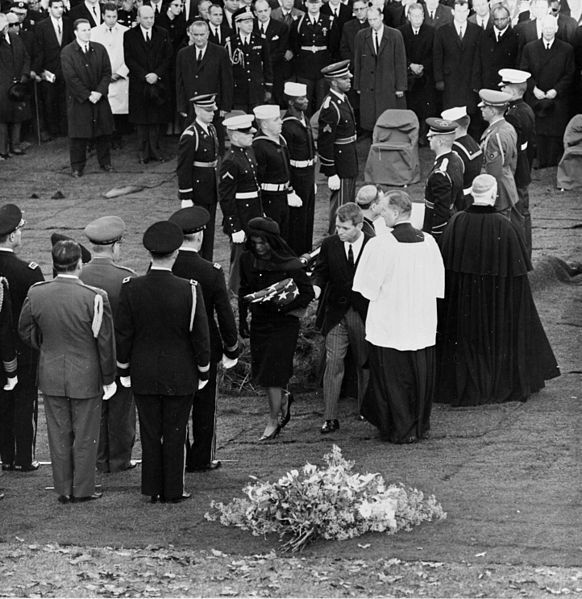 The burial of JFK at Arlington Cemetery. It’s an Ordinary Joe’s account of an extraordinary day, a piece which puts a regular guy to the front of history’s parade. Reading it this week it put me in mind of my formative days in the trade and dozens of people whose everyday lives, like Breslin and Clifton Pollard, I briefly did my best to bring front centre. My reports weren’t in the same field as Breslin’s tribute to the common man but the ground rule was, and is, always the same. Find the gravedigger.